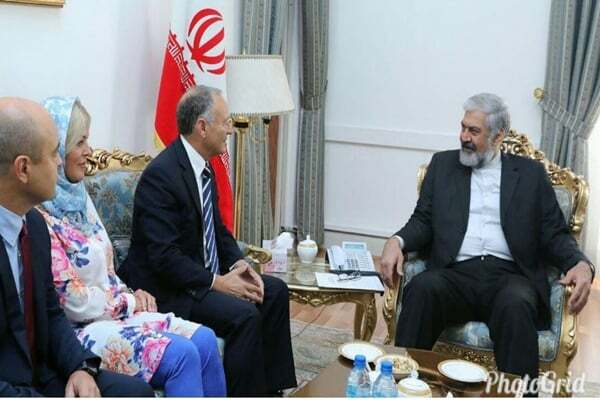 A five-member delegation of the Portugal-Iran Parliamentary Friendship Group held talks with Iran’s Deputy Foreign Minister Morteza Sarmadi on Monday morning. Development of parliamentary relations between the two countries, the Iran nuclear deal, the European Union’s efforts to guarantee Iran’s interests, regional issues, and the latest developments in the fight against terrorism were top on the agenda. Sarmadi also stressed that for the successful implementation of the Joint Comprehensive Plan of Action (JCPOA), Iran needs to continue its oil sales and a banking channel needs to be created for financial transactions between Tehran and other countries. Regional developments and the fight against terrorism and extremism were among the other key issues discussed at this meeting. Back in July, an Iranian parliamentary delegation held meetings with Portuguese lawmakers during a visit to Lisbon, discussing ways to broaden economic and political ties between the two countries.